Kesari first day box office collection: As predicted by us, Akshay Kumar’s Kesari is off to a superb opening, earned 20+ crores on its opening day. As predicted by us, Akshay Kumar’s war-drama Kesari is off to a fantastic opening at the domestic box office. As per early reports coming, Kesari earned around 20 crores on its first day despite the loss of morning and afternoon shows. 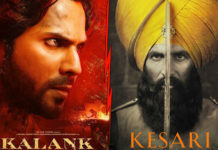 With the collection of 20+ crores, Kesari registers the highest opening day of 2019 beating the first day collection of Gully Boy (19.4 crores) and Total Dhamaal (16.5 crores). Due to Holi, around 60% of the morning and afternoon shows were lost. However, after 2:00 PM, the movie witnessed a huge turnaround and recorded incredible numbers. Evening and night shows were housefull in most of the centres with the occupancy in the range of 85% to 90%. With the collection of 20+ crores, Kesari is the second highest opening day grosser for Akshay Kumar. 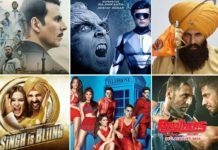 It has beaten the opening day numbers of movies like Singh is Bliing, Housefull 3 and Rowdy Rathode. However, it failed to beat the opening day numbers of Gold (25.25 crores). The movie has received superb reviews from the critics. Most of the critics have rated it as one of the best movies of Akshay Kumar career. The WOM of the public is also exceptional. 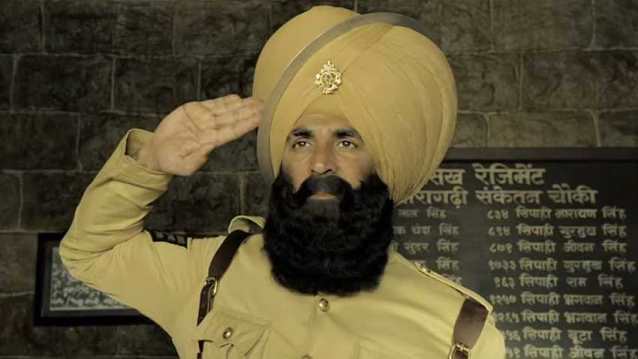 With positive reviews and superb opening at its back, I am expecting Kesari to record a huge growth over the weekend. In fact, I am expecting a 100 crore opening weekend. There is no denying that Kesari will cross at least 150 crore mark. The total budget of Kesari including the promotion and advertising cost is 100 crores. It will be considered a hit if it crosses 125 crores. It will be called a super hit if it enters 150 crore club.